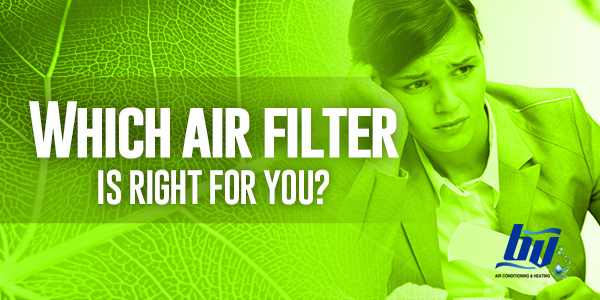 Which Air Filter is Right for You? Have you been in the dilemma of choosing the best air filter for your home? You are not alone! In fact, many homeowners have to face hundreds of questions before deciding to buy a home filter. Do expensive filters perform better than standard brands? Should you invest in modern models of filters? So on and so forth! It will be an endless mind-boggling discussion that leads you nowhere. Spare yourself from this dilemma! Here is a comprehensive buyer guide discussing the types of air filters worthy of your investment. Using activated carbon, this type of air filters absorbs and neutralizes elements and particles like gases and air chemicals. What carbon filters do is that they paralyze these chemicals as they go through the filter. The carbon itself keeps in the harmful compounds even before they reach your nostrils. Carbon air filtration is best suited for eliminating cigarette smoke and health hazards in chemical related industries. High Efficiency Particulate Air or HEPA filters are one of the most in-demand filters today. Why do you think so? Studies show that HEPA filters remove up to 99.97% of air contaminants with the size of 0.3 microns. It is proven effective in sanitizing the air that is why it is offered to various industries including residential properties, medical facilities, commercial buildings and more. Air filtration happens by exposing UV light to titanium dioxide. The process calms harmful particles and bacteria as they flow through the filter. High intensity UV light is known to destroy carbon compounds effectively. By producing negatively charged ions, these air filters attract, filter and deionize harmful particles until they disappear completely. Ionic air filters are also commonly known as air ionizers. Although not so popular, fiberglass filters are common option for air filters. With its availability comes affordable price. Air particles are filtered by putting fiberglass fibers on top of the other to form filter media. A metal grating is used to support and reinforce the fiberglass from potential failure. If you are short of budget, pleated air filters are affordable choice. However, you have to replace regularly – every 30 to 90 days as recommended by experts. The quantity of pleats by foot determines how well air filtration can go. Thus, having more pleats leads to better air flow. Standard pleated air filters get rid around 45% of particles and pollutants at home. Make the most of your home comfort with the right air filter suitable to your needs home or office needs. Surely, a filter’s capacity to remove huge airborne contaminants is a thing. If you are not 100% sure of your choice, grab your phone now and ask for suggestions from the experts at BV Air Conditioning & Heating.